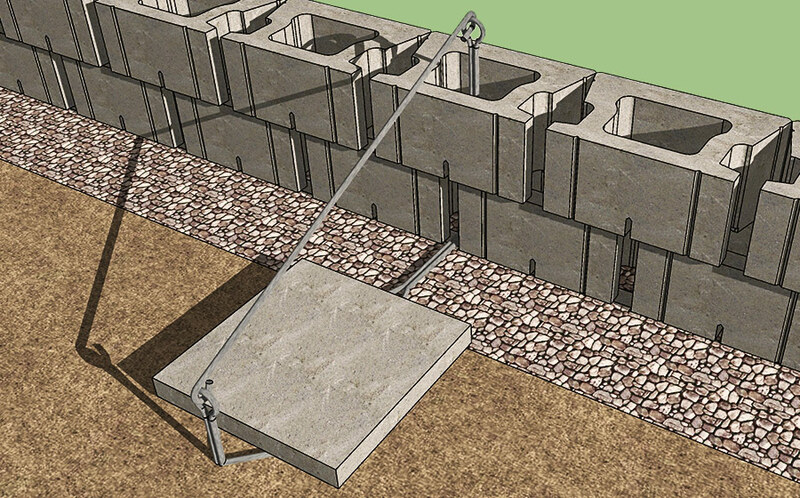 The revolutionary fence POST iN retaining wall system allows metal or wood fence posts to be installed directly into a segmental retaining wall (SRW). 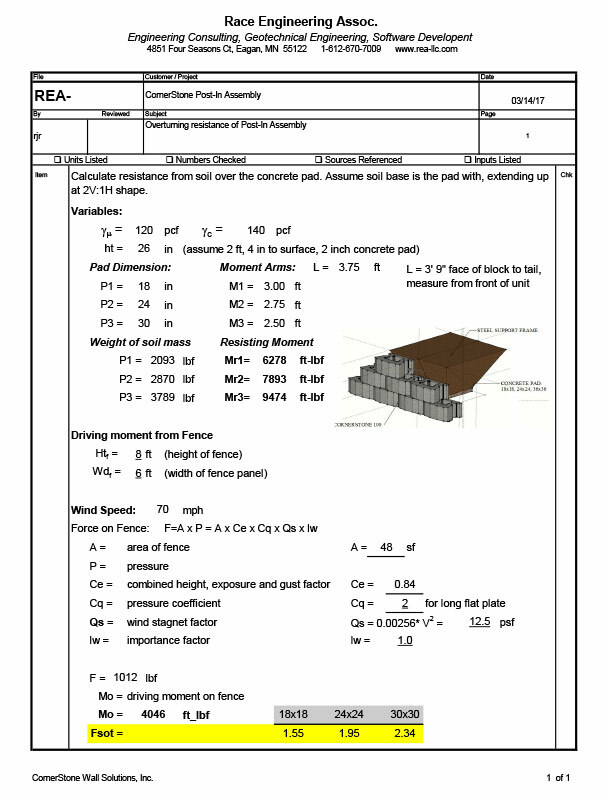 Integrating this technology into a retaining wall design will maximize land usage, eliminate maintenance and reduce installation time. 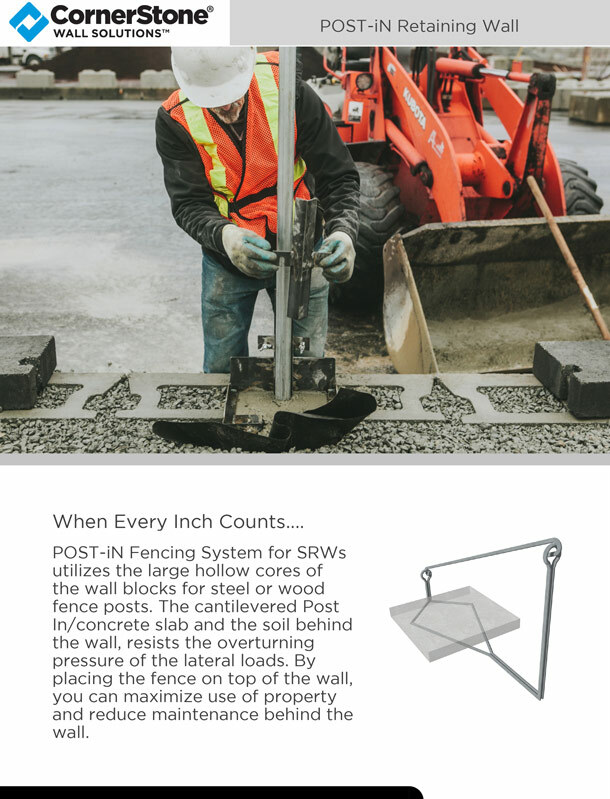 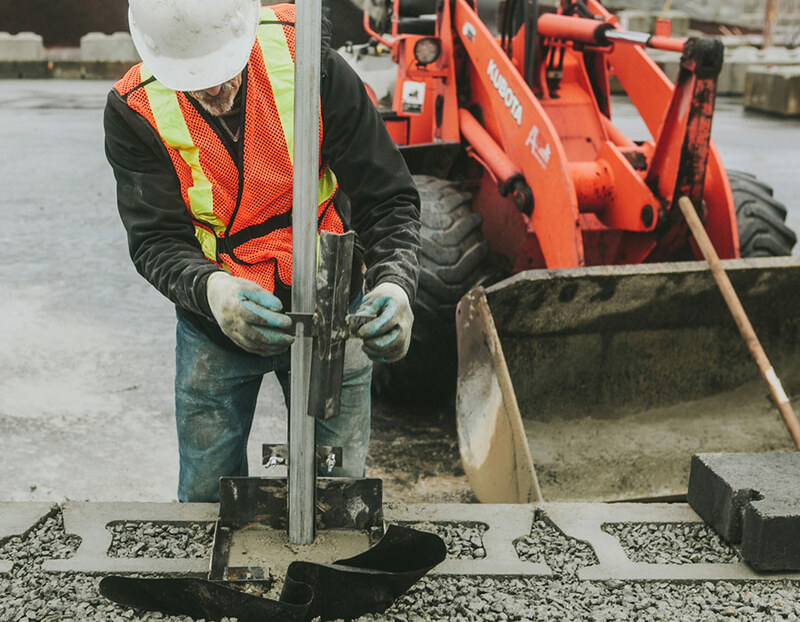 Our Fence POST-iN System is engineered for segmental retaining walls (SRW), utilizing the large hollow cores of the wall blocks to install either steel or wood fence posts. 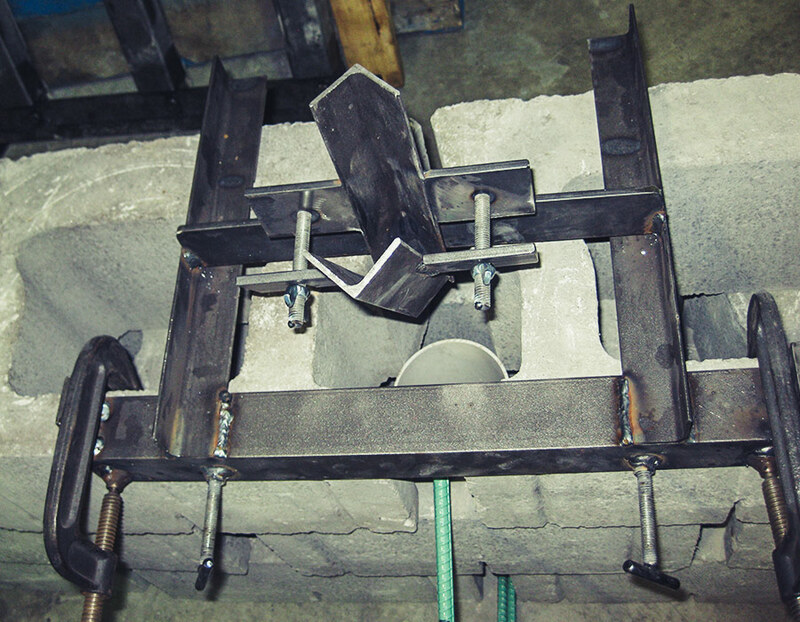 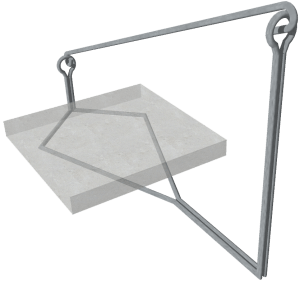 The cantilevered POST-iN unit combined with a concrete slab and the soil behind the wall will resist the overturning pressure of lateral loads. 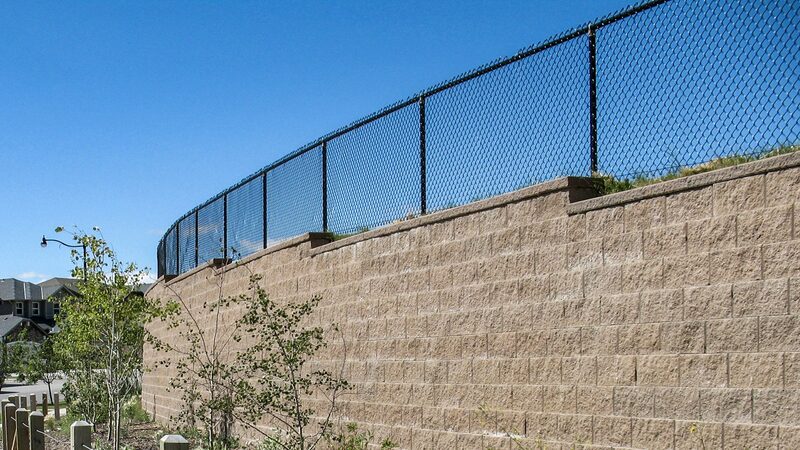 Placing the fence directly on top of the wall allows for maximum land usage and a substantially less maintenance behind the wall. 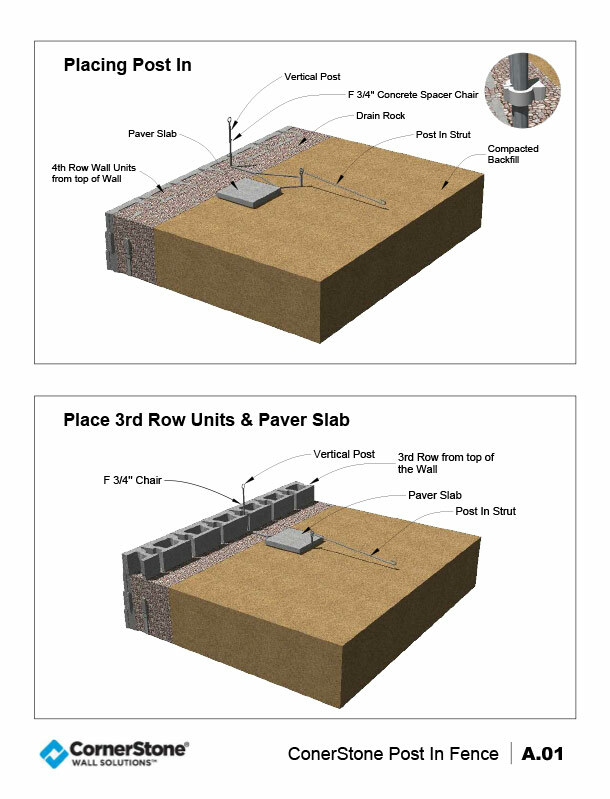 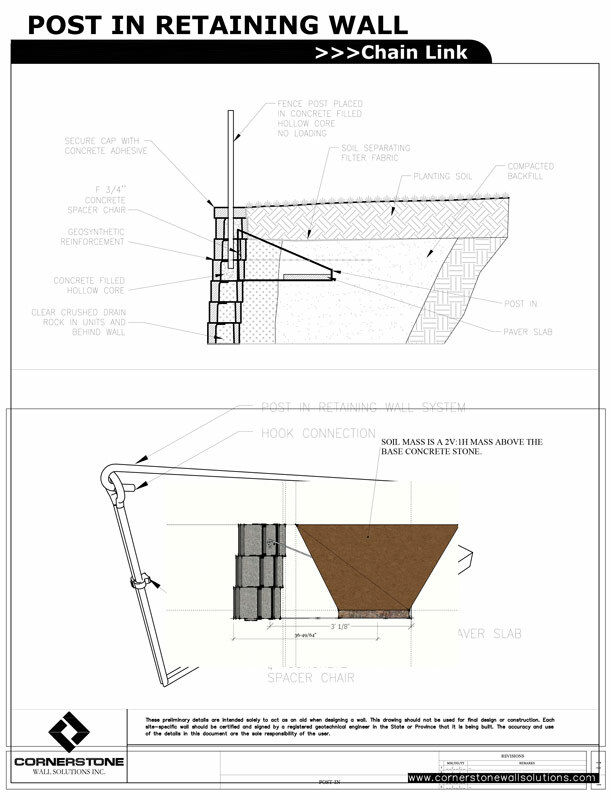 The POST-iN Fencing System was engineered by seasoned experts of the retaining wall industry. 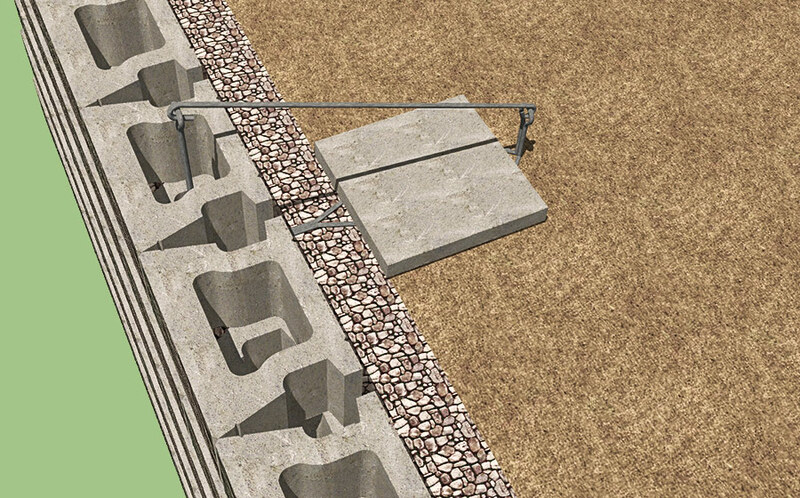 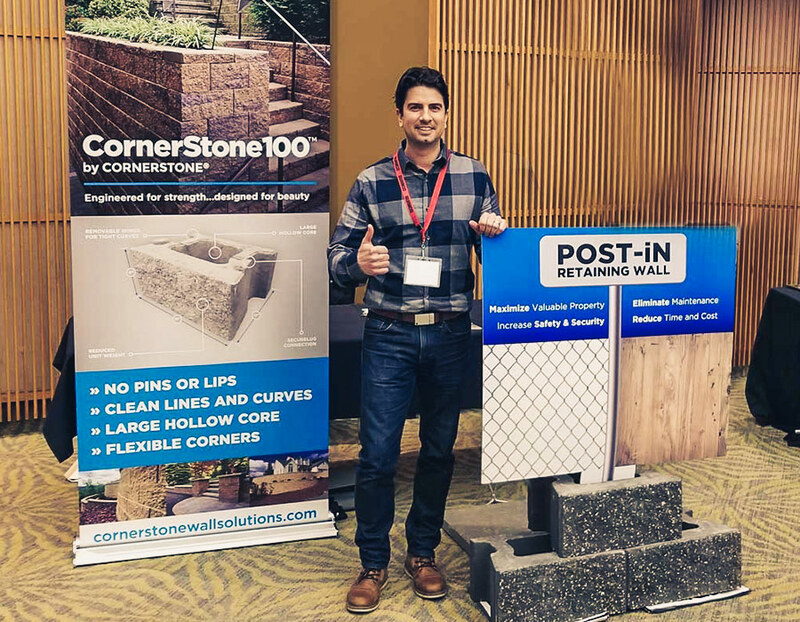 Our knowledge and experience drove the desire to create something new and innovative that could improve land usage around segmented retaining walls. 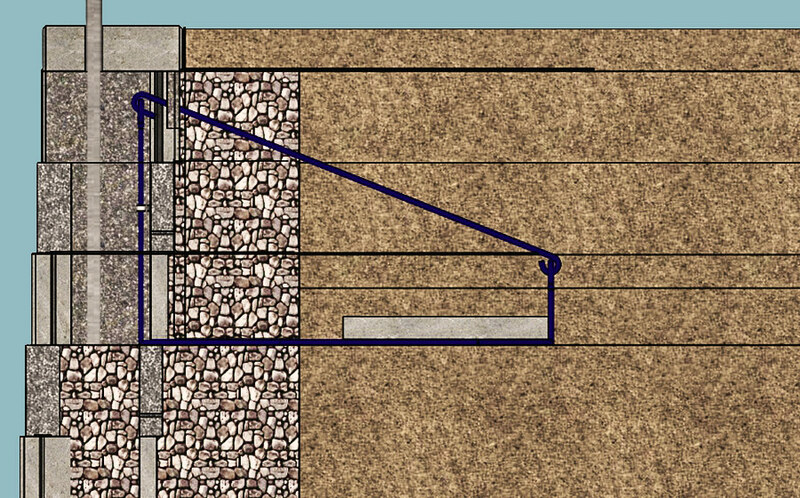 After thinking out every detail (and doing a lot of math), the POST-In Fencing System was created.